It’s been two months since SoGoSurvey v5.0 went live. We’ve got some pretty good response and just so you know, we’ll never be tired of hearing good feedback, so keep those happy mails pouring. For those who haven’t used our software in the last couple of months, here’s a brief (or tempting, if we may say so) preview of what you are missing out on. The new SoGoSurvey release introduced some freshness to the platform. The colors are bright, the layout is clean, and the dashboard has been simplified, what with the introduction of six new portlets that allow you to do anything and everything from the homepage itself. It also adorns prominent help files, customizable columns, and a new Recent Activities column. You now have more control over your questionnaires. Add and edit questions under one roof – the Question Manager tab. 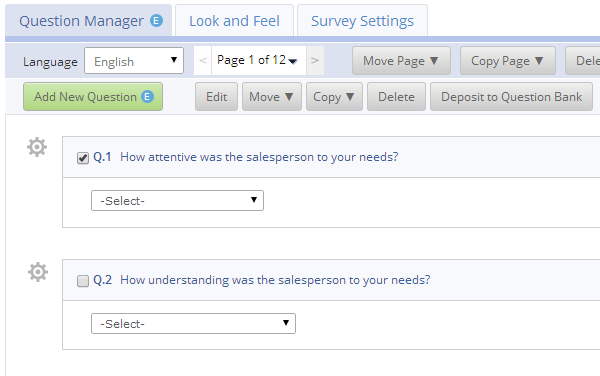 The SoGoSurvey powerhouses – Branching and Question Display Logic are now huddled under Question Manager. All the features under the tab are bundled up together in a collapsible button and can be rolled up for a cleaner user interface. Our rating scales family now has an addition of a Smiley Face Rating Scale. Let your participants register their feedback through a smile or a frown. Another great addition in the new version is the Email Validation feature. Our system will alert the participants if they try to forge an email id. You can even ask your participants to confirm their email address by providing it twice to eliminate any possibility of error. And to think that all this while we’ve only covered what’s new in the Design a Survey tab. 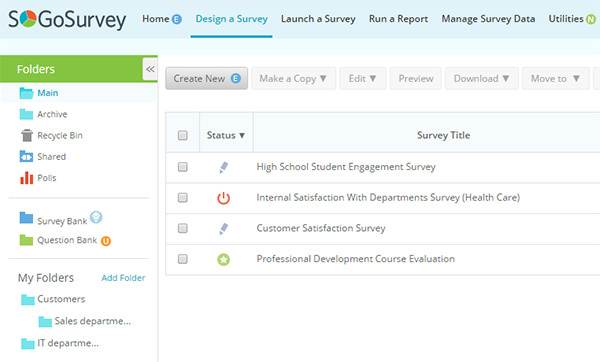 In the next blog post, I’ll highlight the new features under the Launch a Survey tab, so stay tuned.